Our Shillington Showroom has a New GMC for a Variety of Needs at Geoff Penske Buick GMC! The GMC brand is one which emphasizes professionalism in everything that they produce, whether it is an SUV, pickup truck, cargo van, or other commercial vehicles. When you invest in a new GMC model you are investing in a vehicle that is more than good looks alone, it has a lot of capability where it counts the most. Whether you are looking for a new truck or cargo van to expand your business, or you seek a spacious and convenient SUV to take the family places in style, we just might have what you are looking for here in our new GMC showroom here at Geoff Penske Buick GMC! Take a look at our available new GMC models here in Shillington and discover one of your own today! Our dealership is conveniently located just a half hour from Kutztown! A Popular and Reliable Investment for Reading Area Shoppers! Lots of Choices for a New GMC on the Ephrata Roads! Financing Made Convenient for Kutztown Shoppers! Come Test Drive a New GMC Today! While the most popular choice might not always be the right one, when it comes to purchasing a new GMC SUV, pickup truck, or commercial vehicle, you might find that popularity and versatility go hand-in-hand. 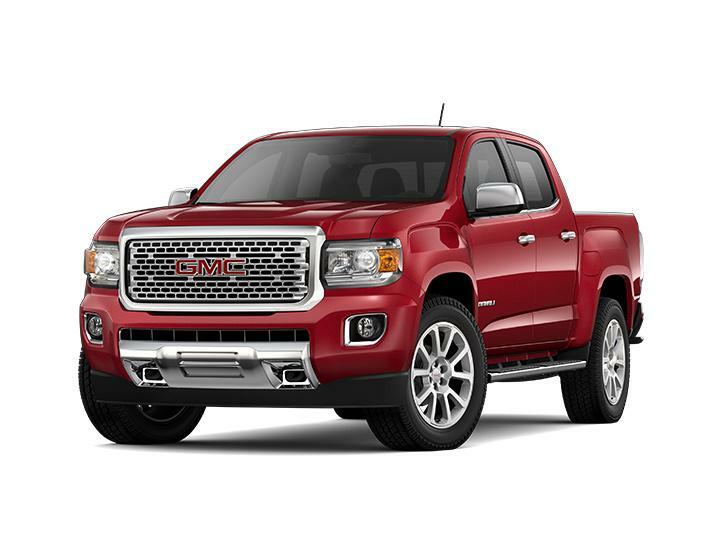 The GMC brand is one which is highly sought-after for their robust engine performance, their towing and hauling capabilities, and their available conveniences. 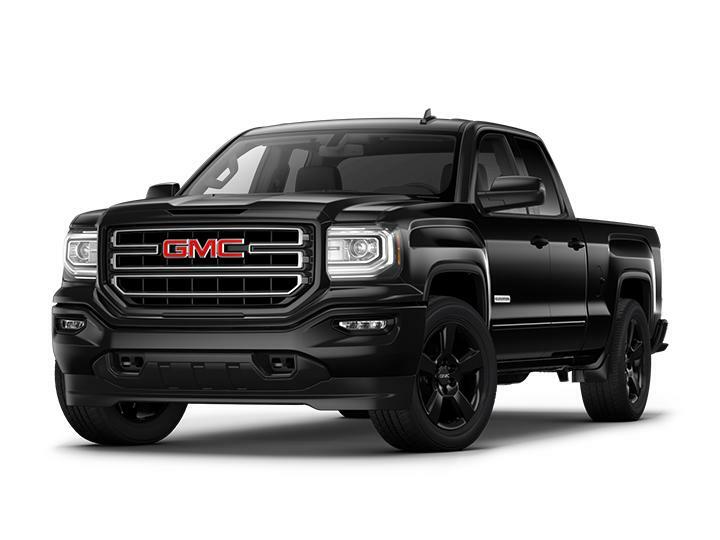 Many of the new GMC pickup trucks and commercial vehicles we offer here in Shillington, such as the new GMC Sierra 1500 or the GMC Savana Cargo Van, are popular among commercial enterprises such as moving companies, electricians, plumbers, and other hardworking individuals. 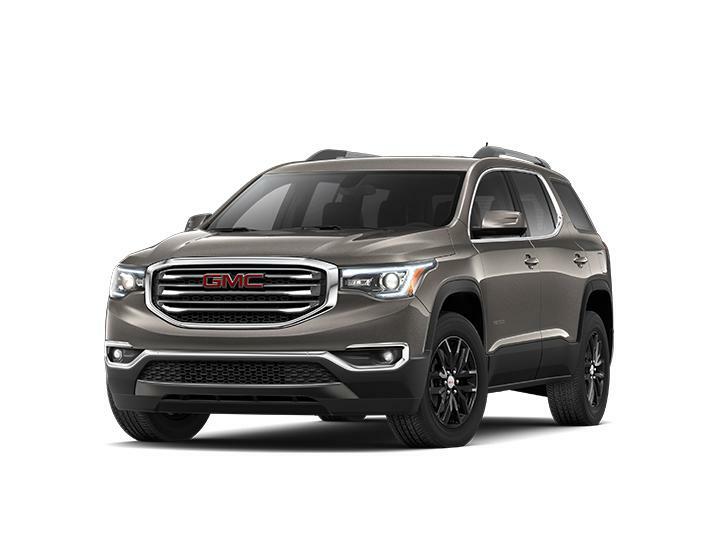 Our inventory of new GMC SUVs, such as the new GMC Acadia or the GMC Terrain, come highly sought-after by families and many of your neighbors in the Wyomissing area for their spacious interior cabins, robust powertrains, traction capabilities, and available luxury features. Models such as the GMC Acadia and GMC Yukon are three-row SUVs with available space for up to eight passengers, with versatile interiors allowing for a wide range of options for what you can bring with you on the journey ahead. One of the best aspects of purchasing a new GMC model from our new GMC inventory are the choices you are given. 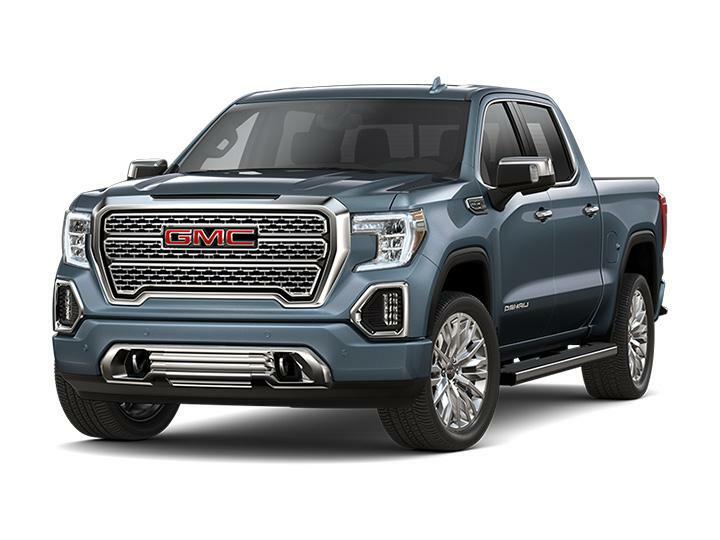 Our new GMC showroom here in Shillington features a plethora of GMC pickup trucks and SUVs in a wide variety of trim levels, so it is up to you to decide how much extra technology, equipment, and assorted conveniences you would like. Our new GMC inventory offers a wide range of trim level and packages to equip your new GMC truck or SUV with everything you might need, whether it is extra towing equipment for a construction project in Ephrata, or just an upgraded interior with power-adjustable front seating for you and your copilot to enjoy. A new GMC model gives you possibilities galore! Another great benefit to be had from purchasing a new GMC model is the fantastic opportunities for financing, especially with our new GMC leasing incentives and other specials available through our new GMC dealership. If you are looking for a new GMC truck or cargo van for your commercial fleet or small business inventory, then you might take an interest in our GMC Business Elite Dealership, which offers special warranty coverage and extended service hours for your commercial vehicle needs and to help keep your business running efficiently! When you find a new GMC SUV, pickup truck, or commercial vehicle which fits your needs, schedule a test drive by calling our sales team or contacting us here online. Before you come in, be sure to check out our new vehicle specials and new lease incentives to see if there are all new ways for you to save on your next new GMC financing or leasing agreement at our Shillington new GMC dealership. Visit us today for a test drive! The Buick name represents the very best of American automotive elegance, and has done so for generations. We're extremely proud to offer our Reading-area customers the full roster of Buick cars and SUVs at our Shillington location, showcasing the full variety of premium options that are waiting for you to take them out for a test drive. Not only do we offer you these exciting new models, but we're also dedicated to providing the top-notch customer service that you deserve, from the minute you first enter our showroom doors until long after you've taken your new Buick home with you. Whether you're looking for an executive sedan that handles your daily commute with ease, or are more interested in an SUV that happily helps check off every errand on your to-do list, our inventory of new Buick vehicles has a solution for you. We invite you to take a look at our available offerings and see which is the right model for you. Buick cars have a grace that stands out in a crowd, without a doubt. The stylish new Buick Cascada convertible appears to have been built specifically to tour back roads in summer, with a top that you can drop while you're driving. The premium new Buick LaCrosse sedan epitomizes old school luxury, with a plush, spacious interior and genial driving dynamics that practically beg to go on a long drive. Then there's the new Buick Regal family of vehicles, which includes the Sportback hatchback, GS sedan, and TourX wagon -- offering an option sure to please many Pennsylvania drivers. These Buick models offer everything your family could want in an SUV, with a variety of sizes on hand to meet your needs. The new Buick Encore is a perfect size for narrow city streets and parking spaces, but it still seats five and offers all of the premium features you expect from a Buick. The compact new Buick Envision delivers a high level of refinement, advanced safety features, and the spirited performance you need. Finally, the midsize new Buick Enclave is the perfect option when you have a large family -- or a lot of cargo -- to haul. Capable of seating seven, this SUV offers a maximum cargo capacity of 97.6 cubic feet -- so you have all the storage space you need, and then some. Loaded with the modern technologies and safety features that you demand, the new Enclave is powered by a 3.6-liter V6 engine that puts 310 horses at your command. Once you've narrowed down our available Buick selection to the ones that best meet your needs, contact us and schedule your test drive. We're a half-hour drive from Kutztown, so you won't have to commit to spending an entire day with us -- unless you want to! Remember, our finance team is here to help you arrange for the loan or Buick lease that fits into your monthly budget. We look forward to seeing you soon!